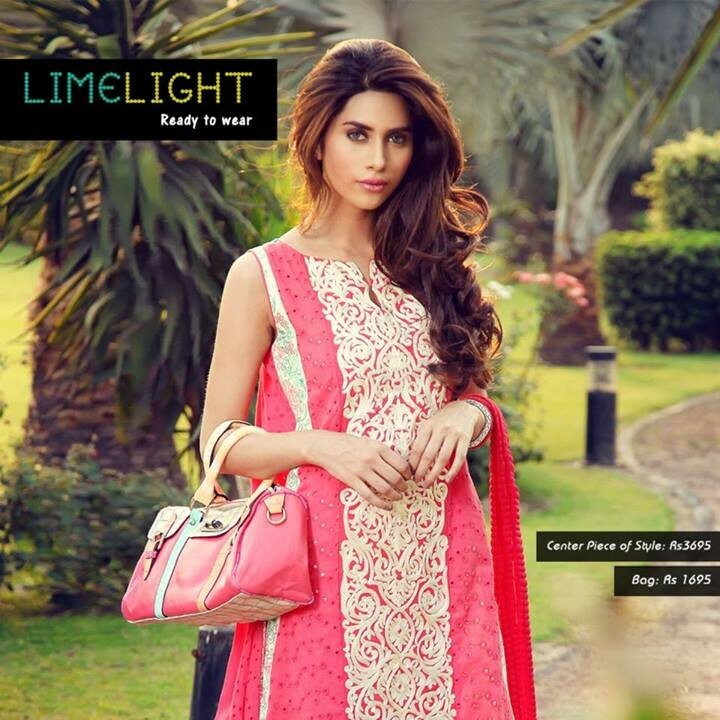 Limelight is a brand of elegance and splendor. 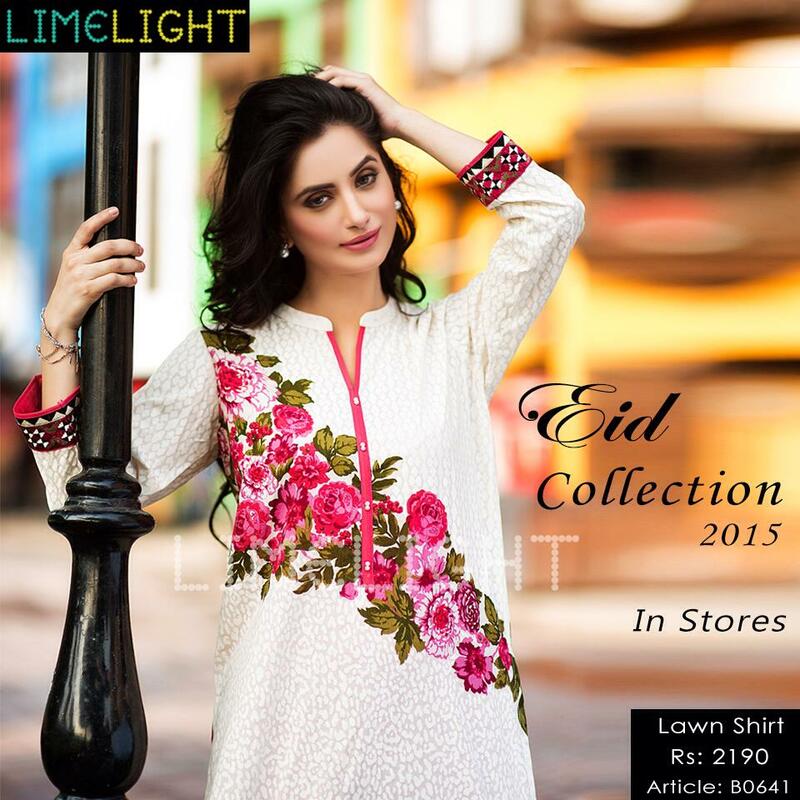 It was founded in 2010 and till now it is gained too much popularity at national as well as international level. 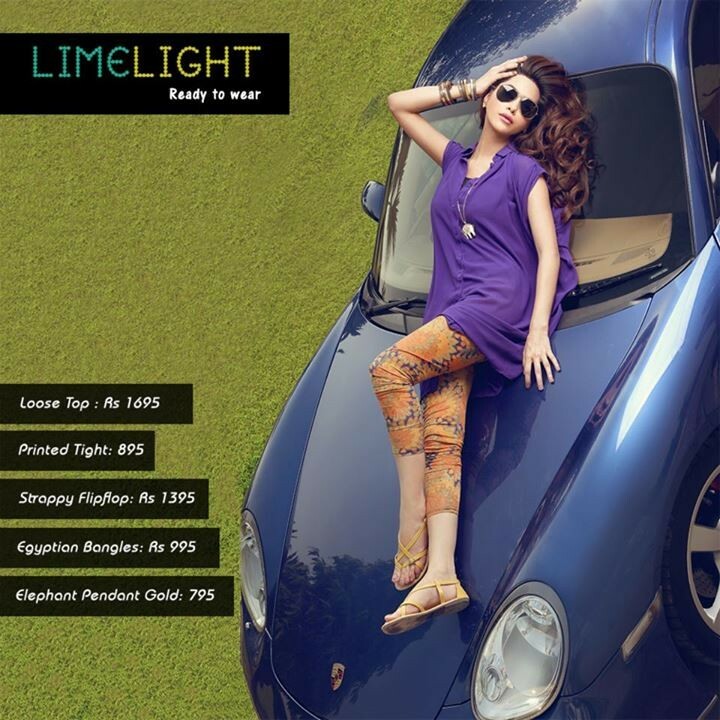 Limelight covers many international customers around the globe from America, Australia, United Kingdom, Spain, Scotland and other many countries. 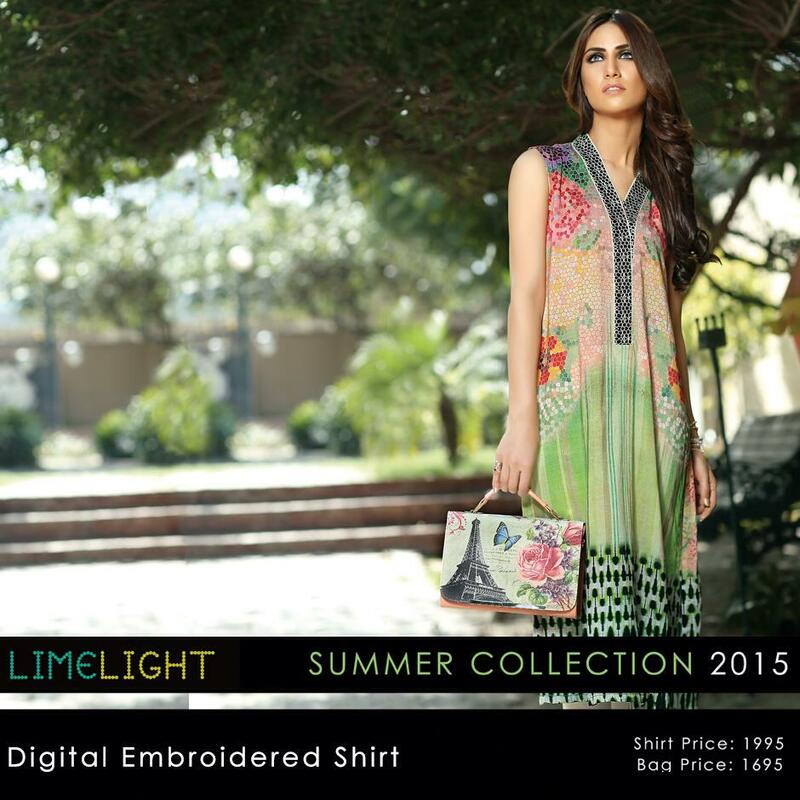 It is popular for creating the unique and artistic prints with delicate embroideries. 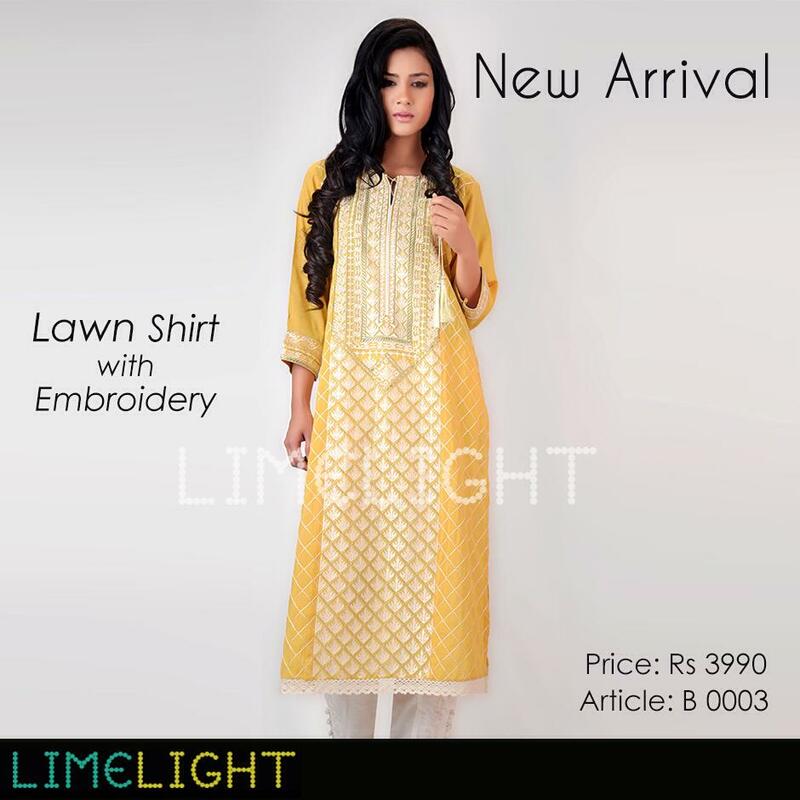 The designers team of the limelight is working very well to produce the high-quality pieces of women clothing. 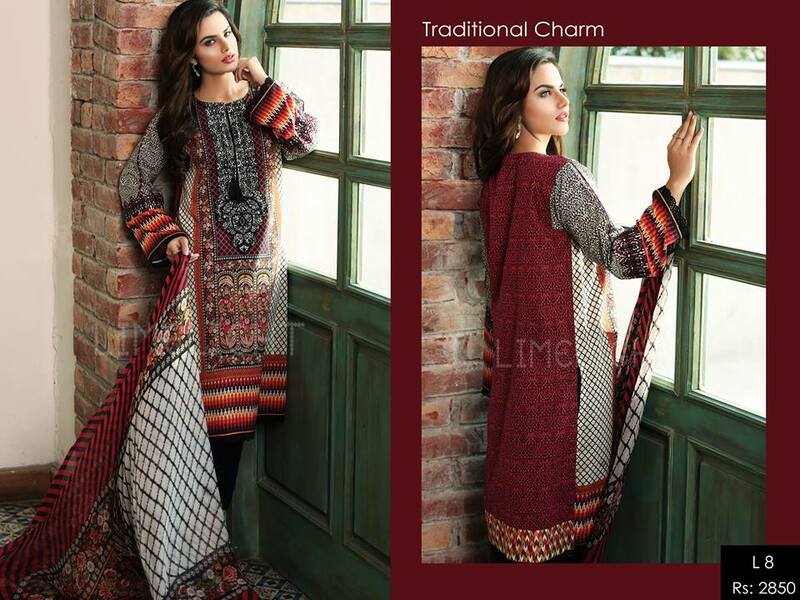 Beside this, it also deals with accessories like bags, shoes, jewelry, etc. 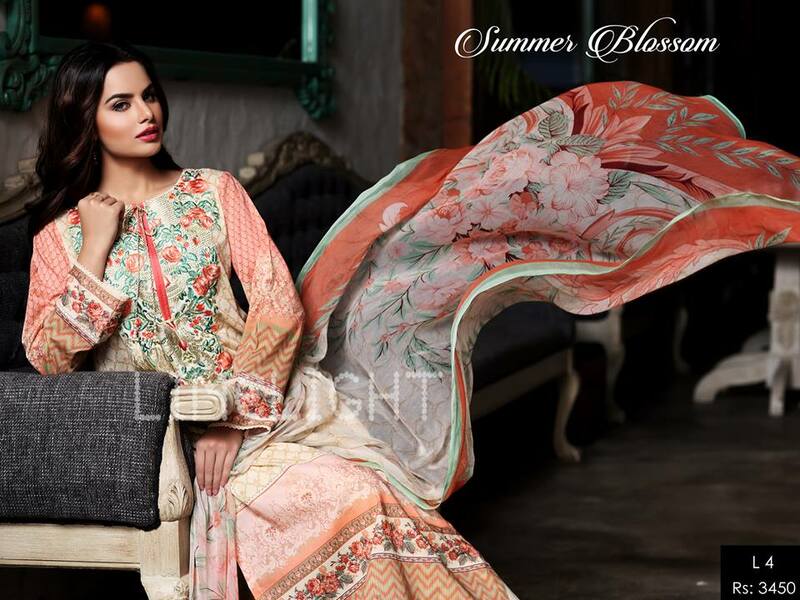 The variety mostly consists of trendy patterns of eastern shirts for ladies. 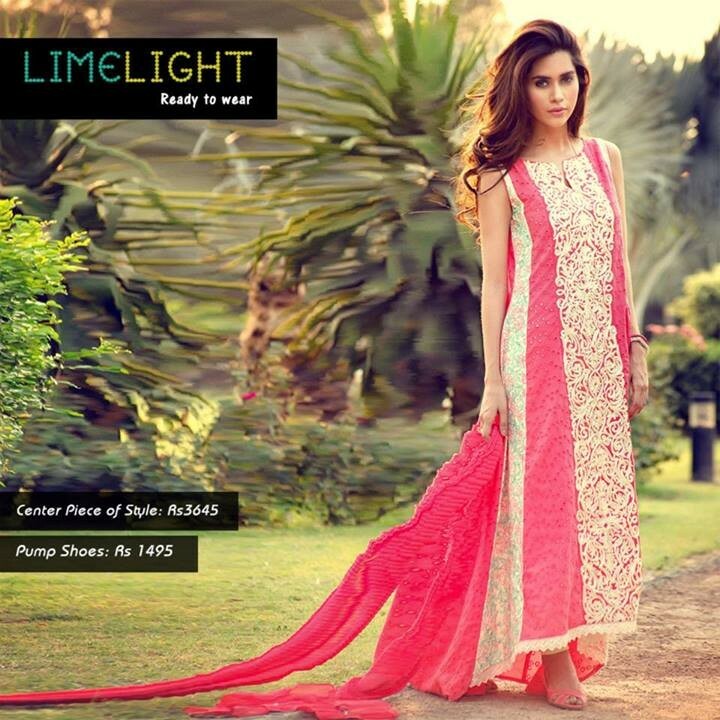 It is a ready-to-wear brand, but now it has also started dealing with un-stitched variety. 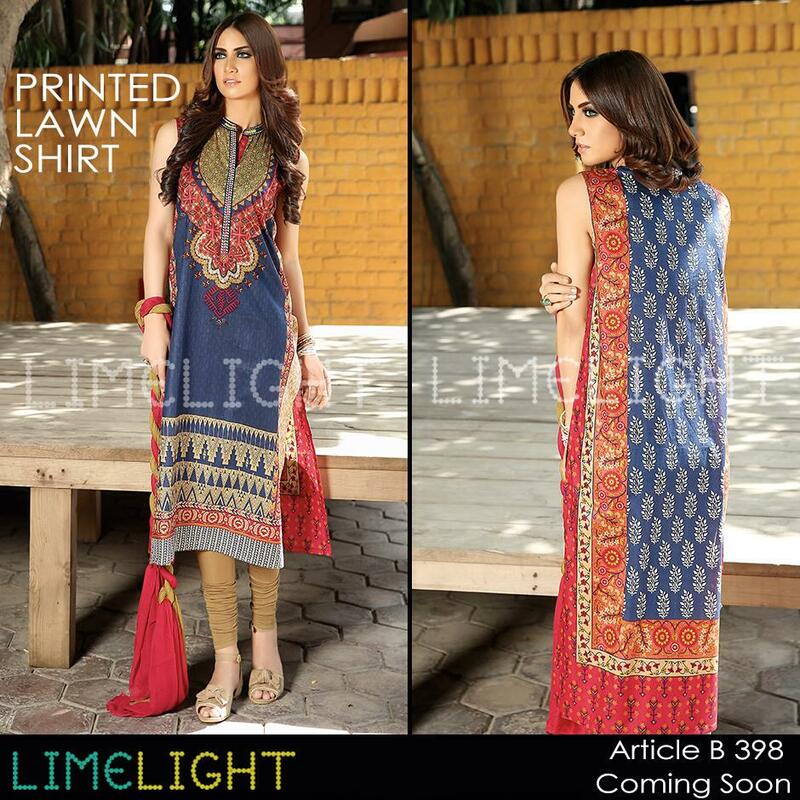 Two and three piece suits in stylish cuts with embellishments are also the part of the lawn, summer, winter collections. 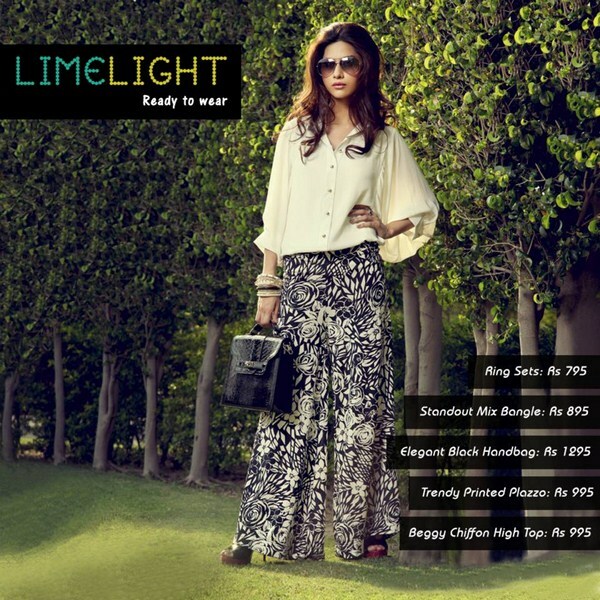 Limelight’s exciting collection of handbags and wallets for ladies is just awesome to catch. 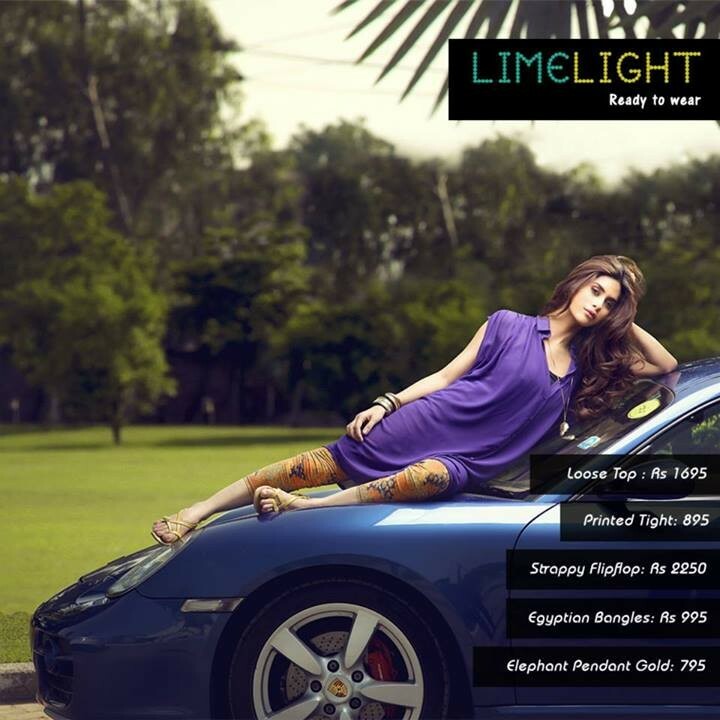 Each design is full of originality and glamour. 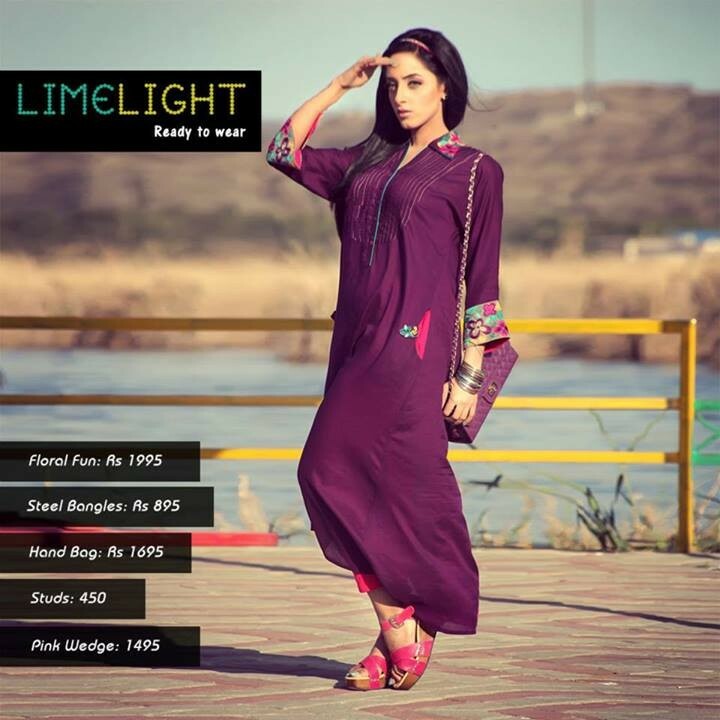 Limelight pret collections consist of women tops, short shirts, tunics and casual wear kurtis. 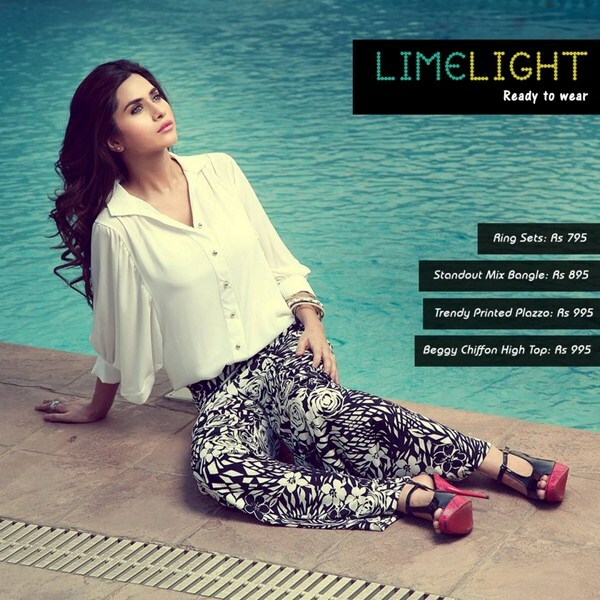 These are to pair with palazzo pants, tights, jeans or pencil pants/ trousers. 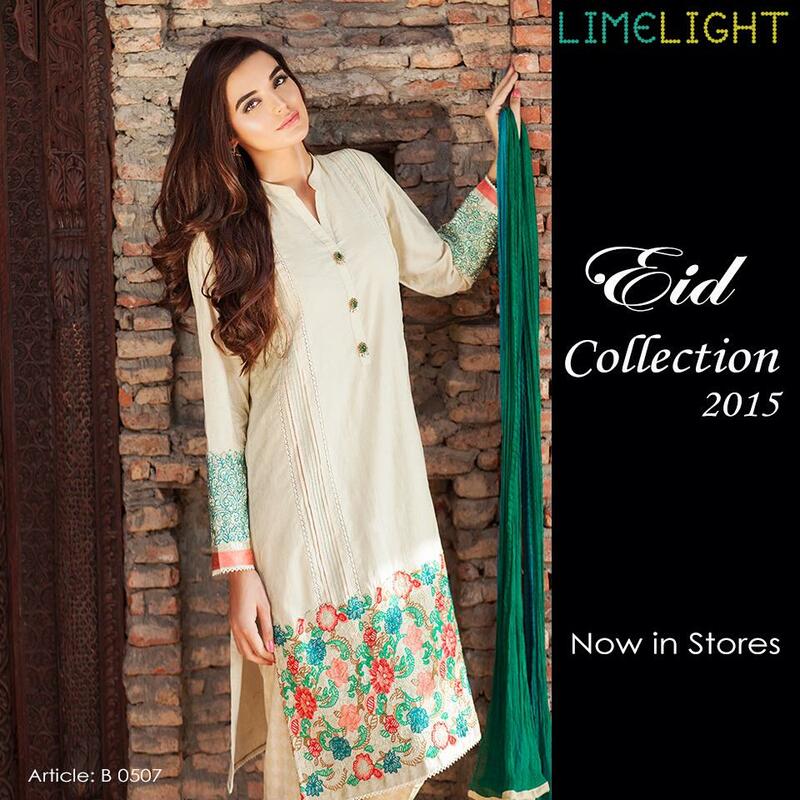 It also launches event wear collections as Eid, formal and casuals. 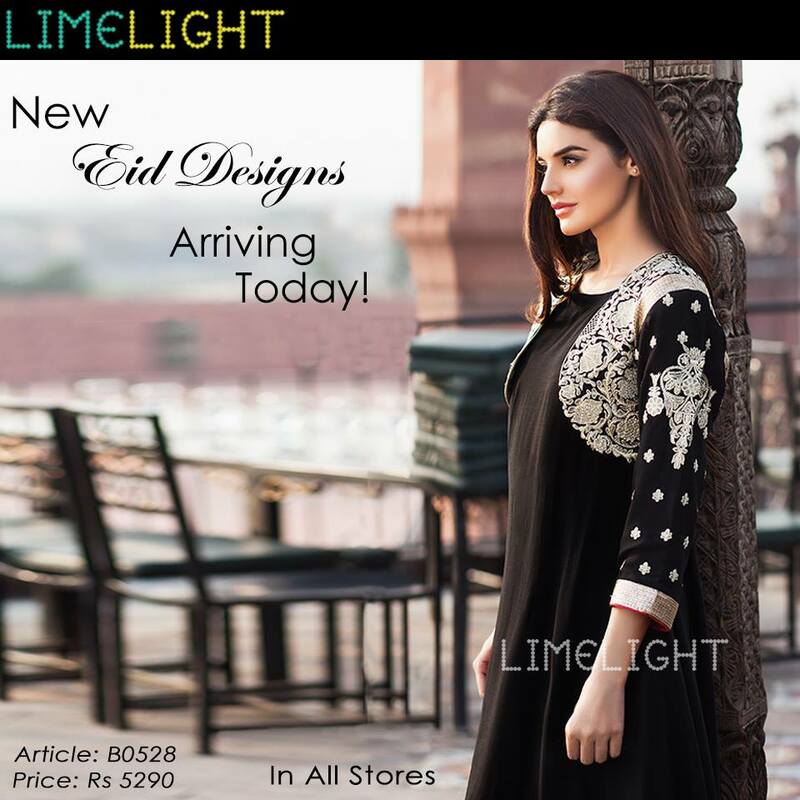 Eid assortment is full of new designs with formal embroidery works and adornments. 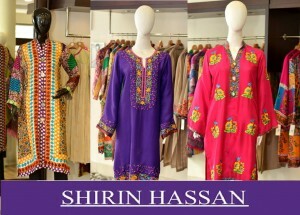 The stores also present the colorful array of bottoms including printed and plain tights, western trouser pants and tops. 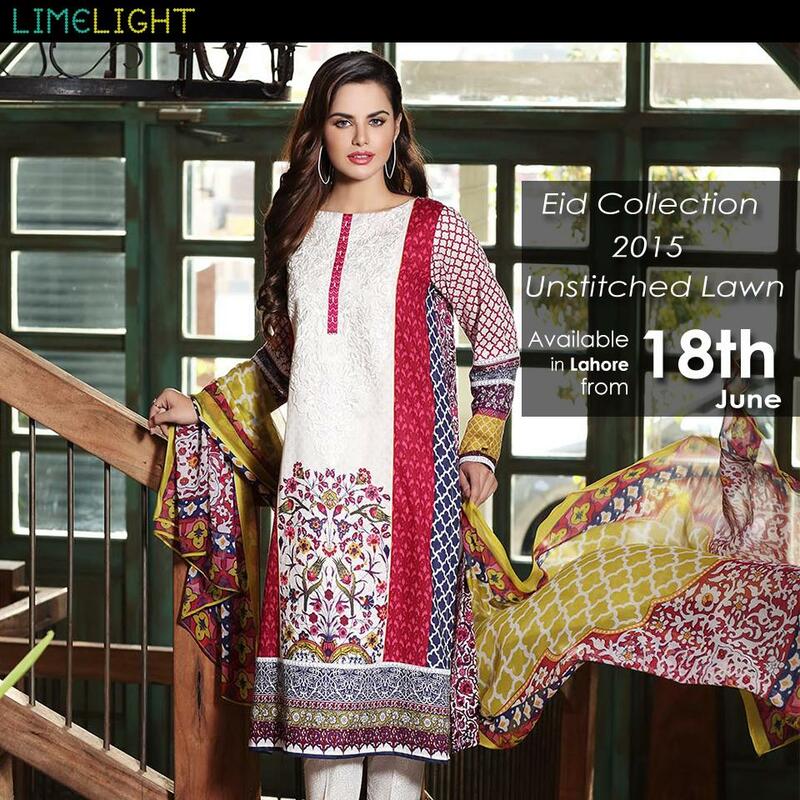 The three piece suits are in silk, chiffon, lawn, karandi, linen and cotton fabrics. 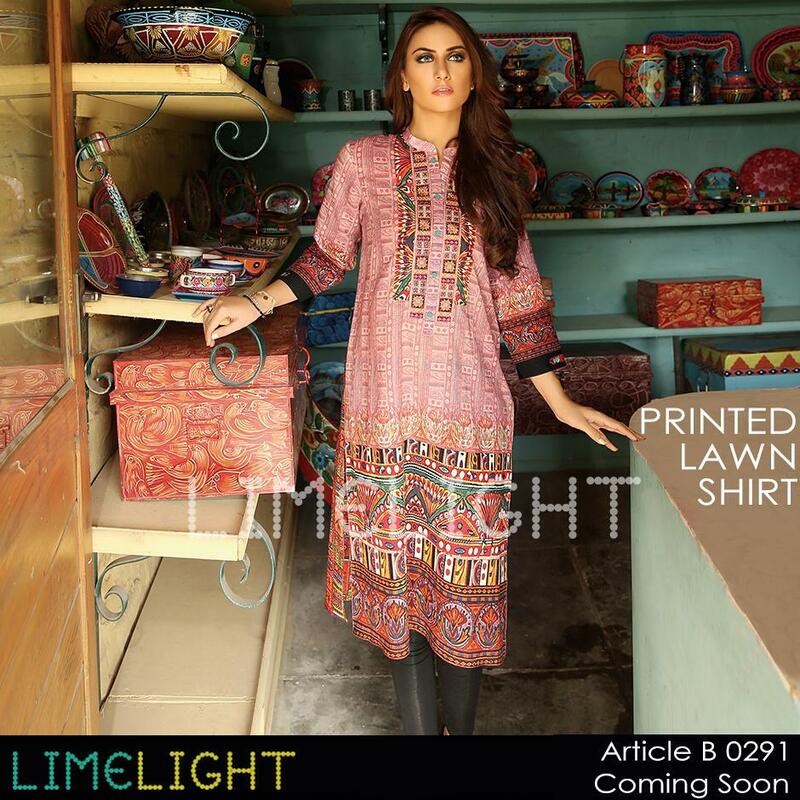 Today we are posting some of the new prints and designs from limelight latest collection. 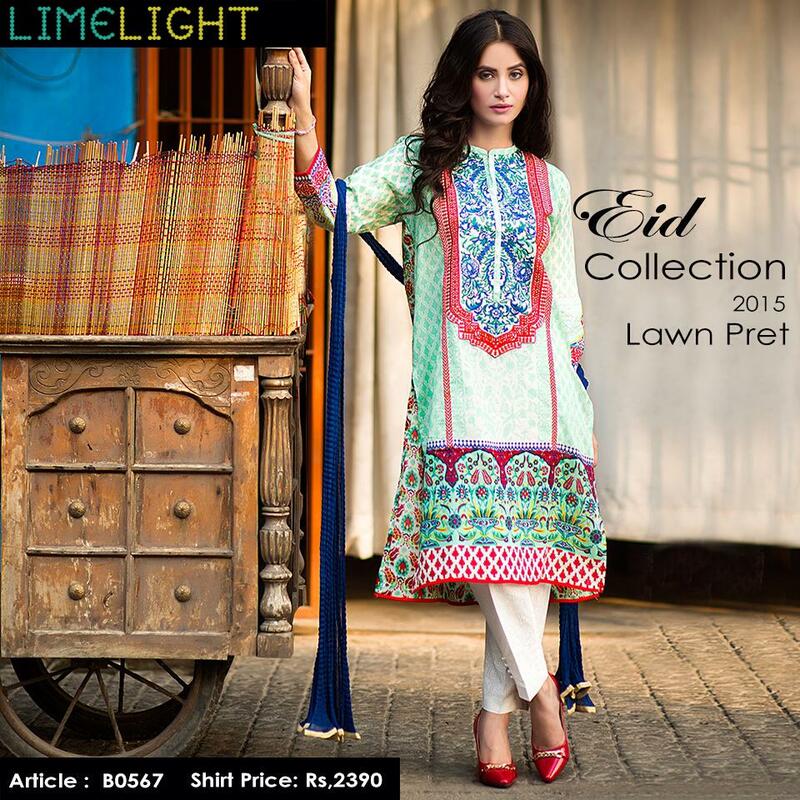 We guess you will love each and every article from this range. 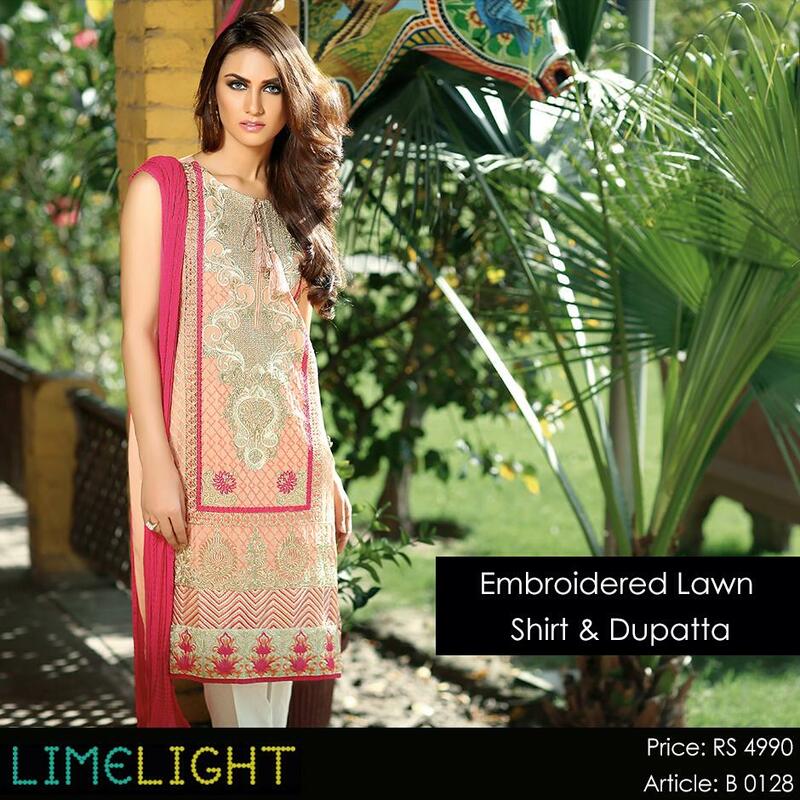 The dresses are perfectly tailored and skillfully fashioned. 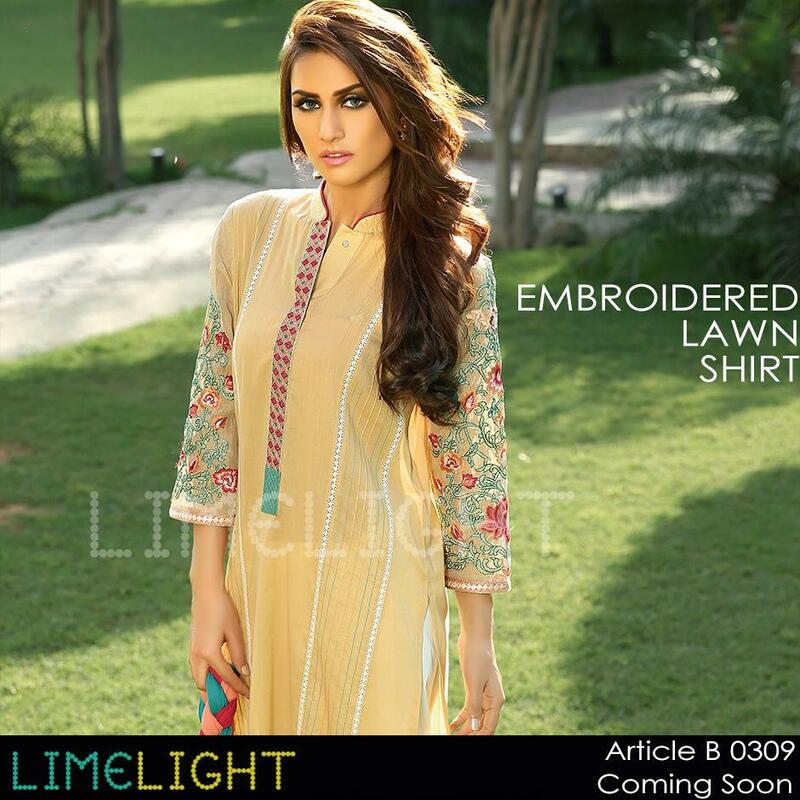 They include women lawn shirts with embroideries at necklines and front panels. 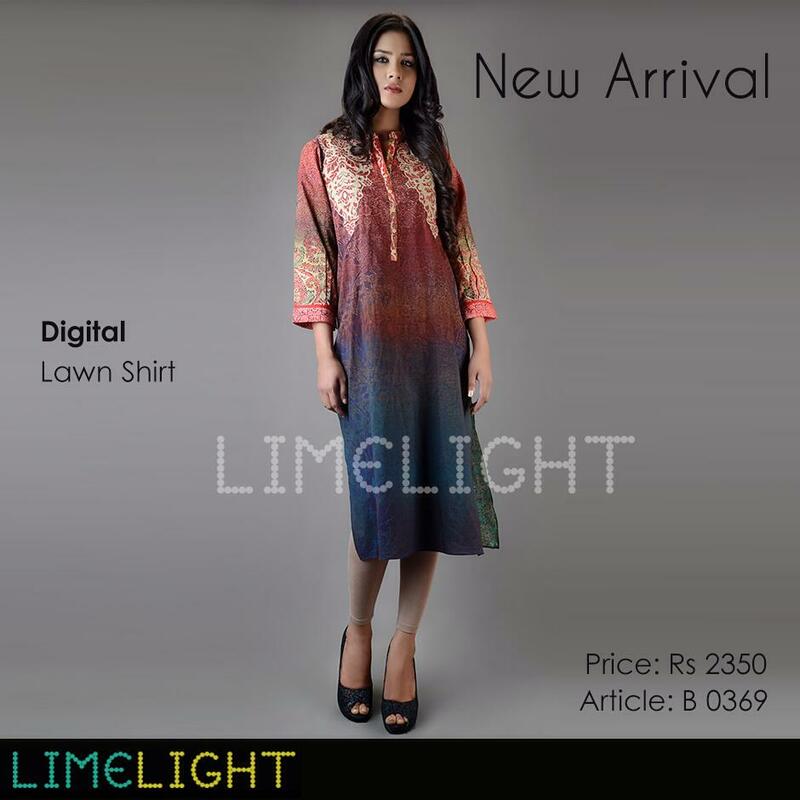 Medium length Kurtis with trendy cuts and prints are also the part of this assortment. 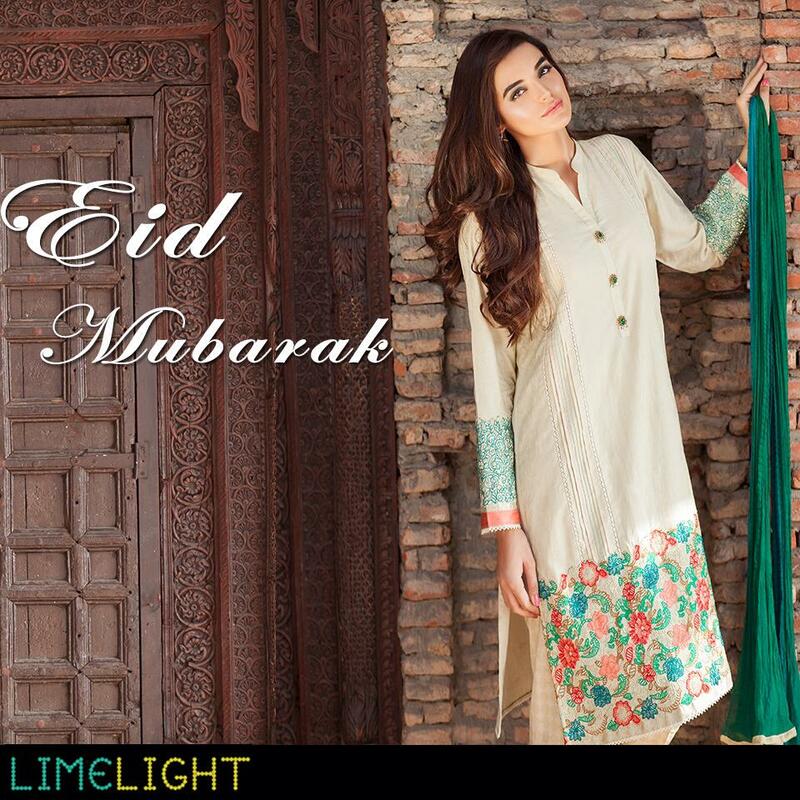 Other then this un-stitched three and two-piece suits are also included with silk and chiffon dupattas. 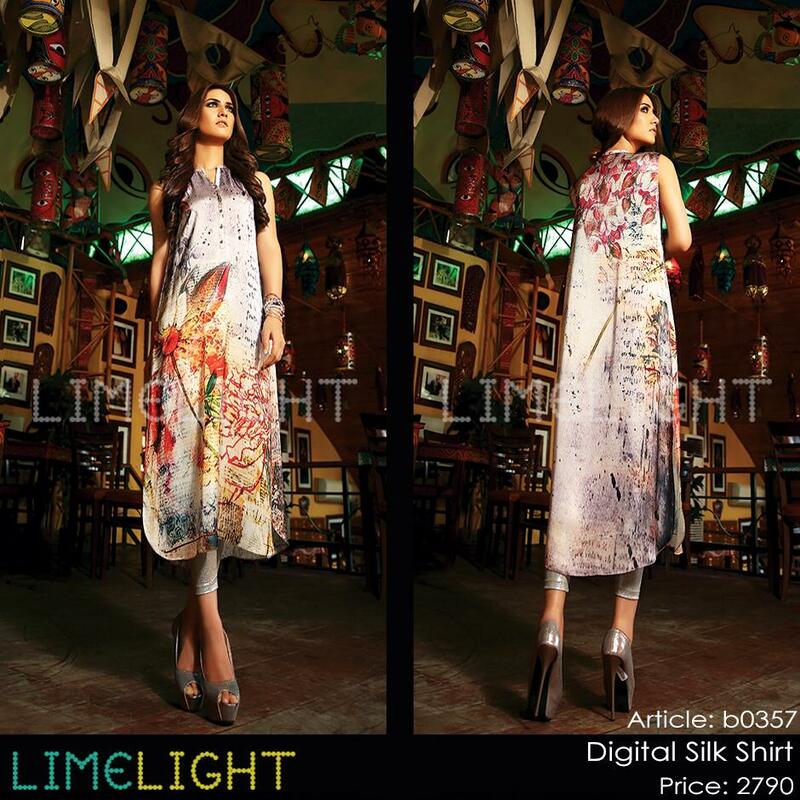 The coloration workout is just mind-blowing. 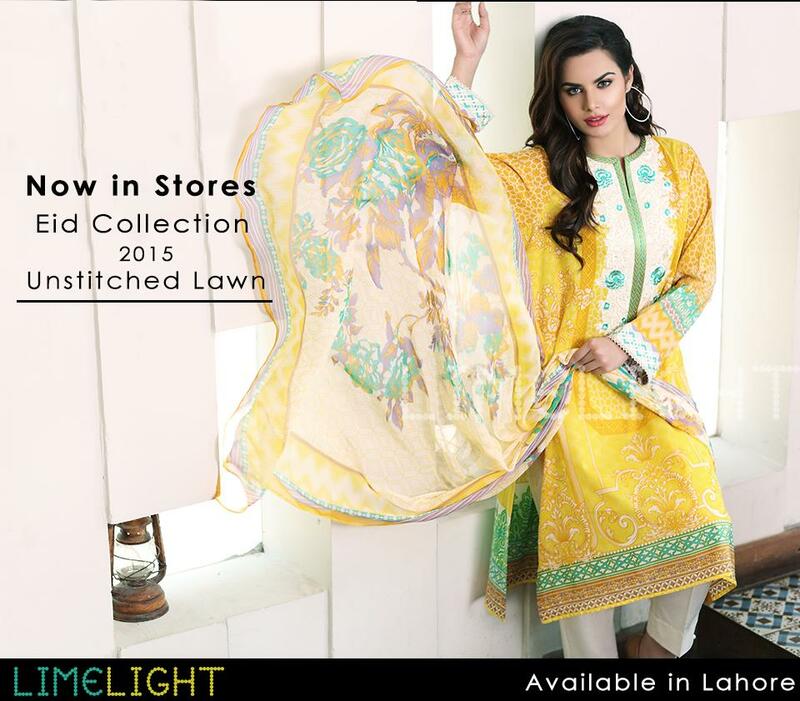 Dark and light shades are contrasted ith each other to produce eye-catching hues. 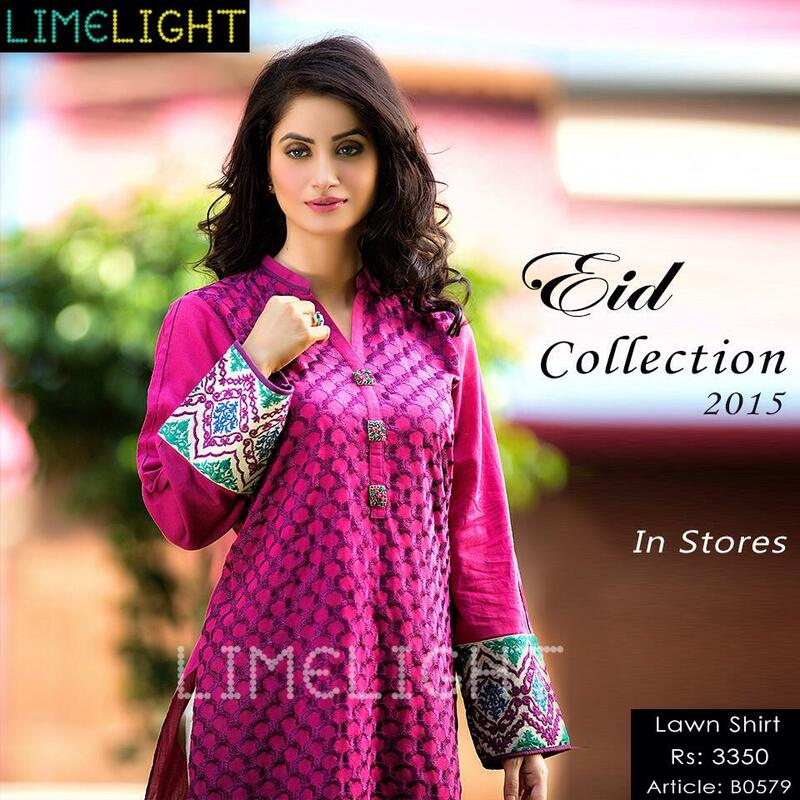 They include pink, peach, purple, black, skin, red, yellow, orange, green, beige, blue, etc. 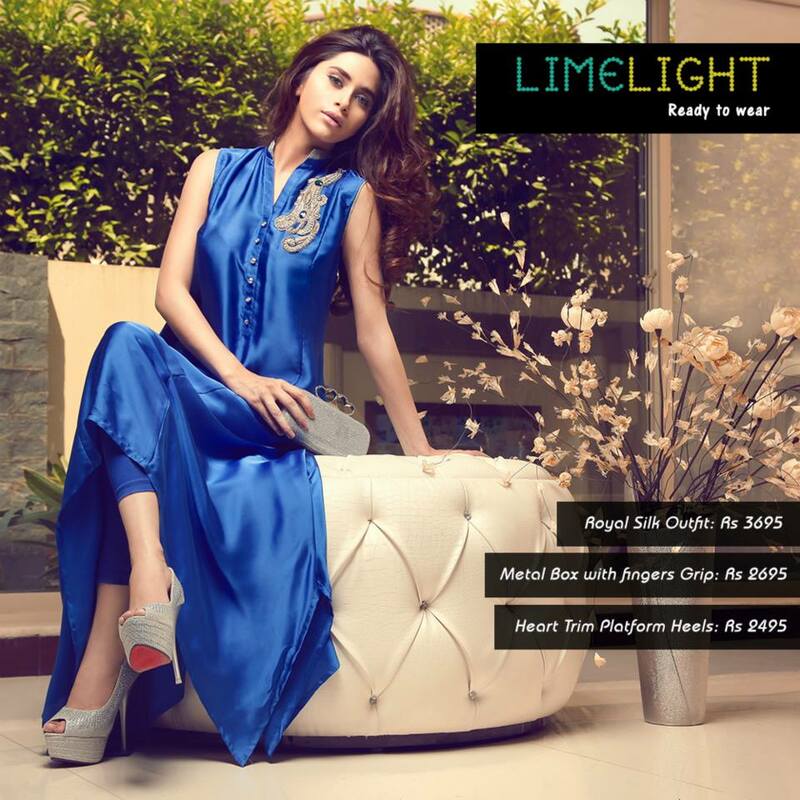 The long silk tops are the perfect combination of party wear and formal events. 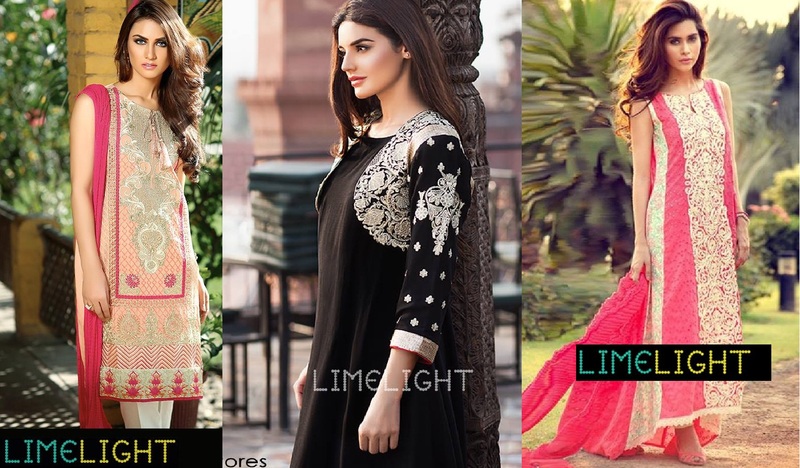 Some dresses have small jackets with wide bottom sleeves having embroidered patches. 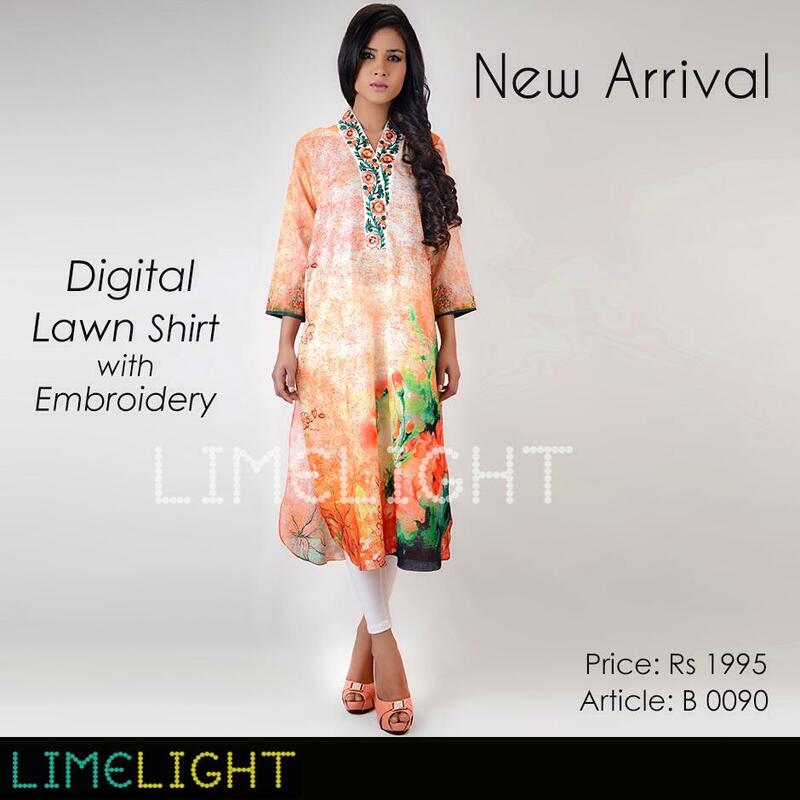 The casual shirts having digital prints are also there to make a statement for your daily routines. 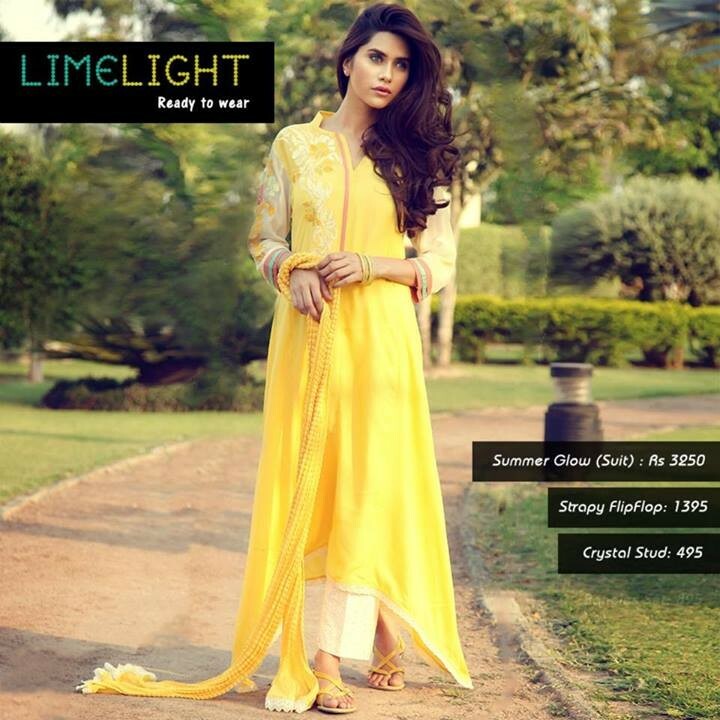 So it’s up to you whether going for a party, an event or roaming at streets of your city? which outfit will be good to wear. 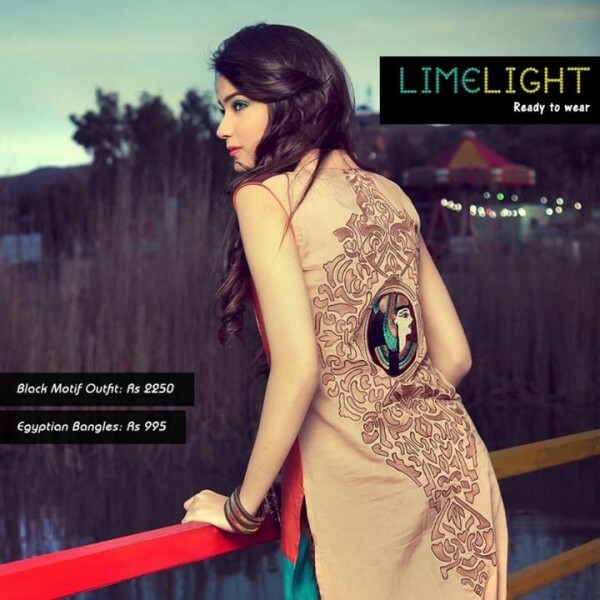 We have posted a wide range of women dresses of every type from Limelight collection. 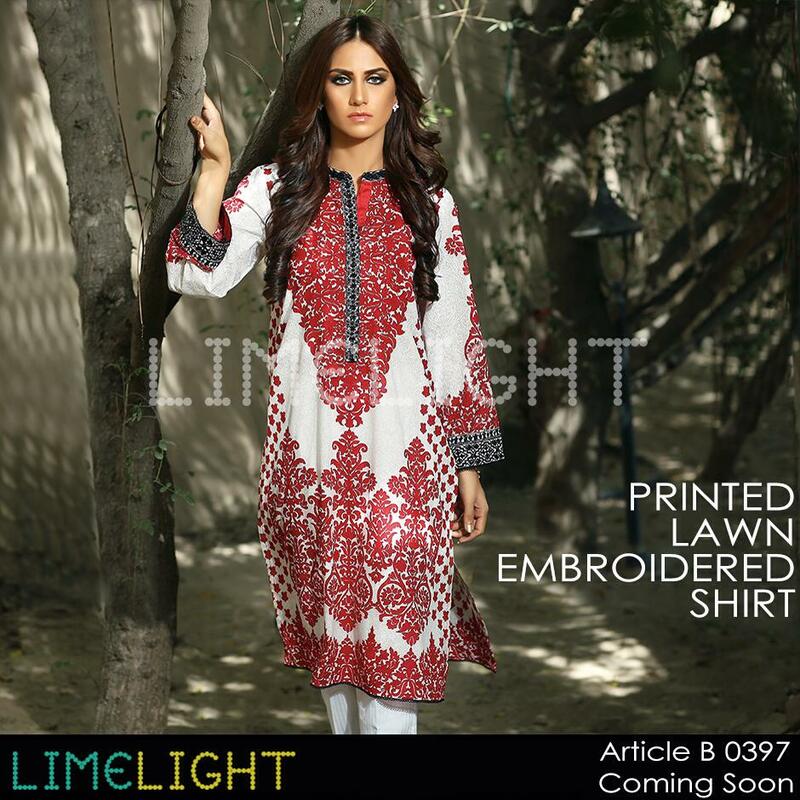 I hope you girls will love wearing them. 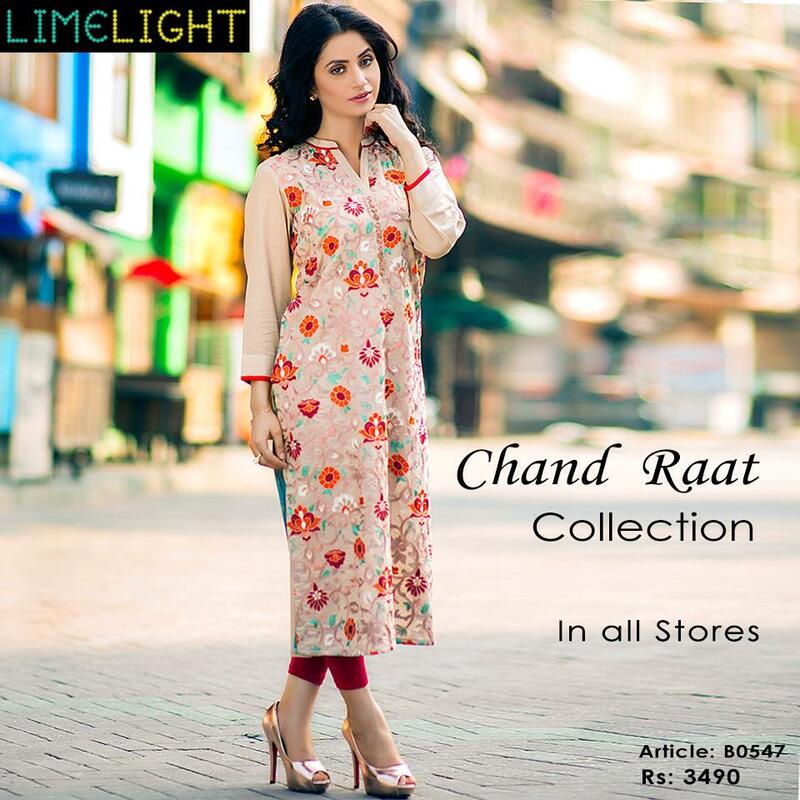 Have a good day ahead and stay charming.